Sheree Atcheson, a Queen’s BEng Computer Science graduate (2013) who was named in the Top 35 of Computer Weekly’s Most Influential Women in UK Technology in July, has been short-listed for the Young Business Woman of the Year (sponsored by Ulster Bank), the results of which will be revealed later this week. 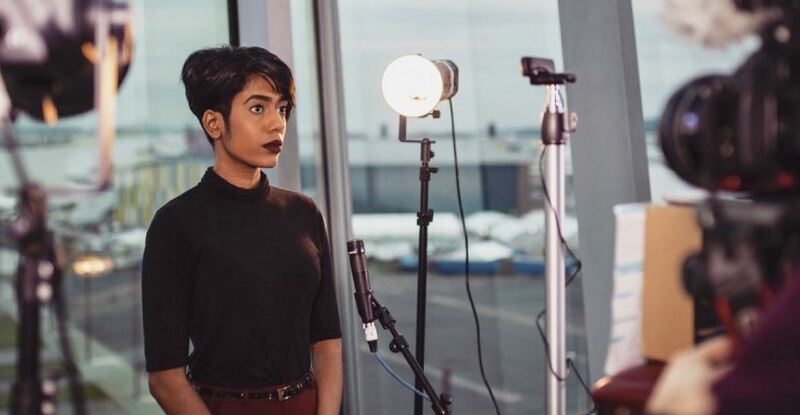 Born in Sri Lanka but raised in Northern Ireland since she was 3 weeks old, Sheree is now UK expansion director for Women Who Code, and is passionate about eradicating gender bias in the technology industry. Her aim is to educate younger generations on the prospective careers in STEM subjects. With WWCode membership growing exponentially (there are almost 90,000 worldwide) what are Sheree’s thoughts on the current UK. “I want to continue to strengthen our current branches and create more role models to speak at conferences, write blogs and create their own personal brand,” Sheree told Sync NI. “Belfast is a great place for the tech sector – we have such a thriving start-up culture whilst also being surrounded by some of the largest global companies in the world. It's fantastic to work here and to have been able to use this as a stepping stone to my career where I'm now privileged enough to speak at global conferences, write for the Huffington Post and work for the largest firm in the world in the job I've always wanted. Last month, Sheree founded I Am Lanka – an organisation which aims to highlight Sri Lanka’s local and global role models who have accomplished great things in their lives and careers. The Women in Business Awards celebrate, reward and acknowledge the achievements of some of the most successful, entrepreneurial and inspiring business women throughout Northern Ireland. They allow all sectors and industries to come together to recognise the best of home grown talent and the valuable contribution that women make to the local economy. The grand finals of the Women in Business Awards take place at the Crowne Plaza Hotel in Belfast on Thursday November 9. General inquiries to Gerry Power, Communications Officer, Development and Alumni Relations Office, Queen’s University Belfast, tel: +44 (0)28 9097 5321.